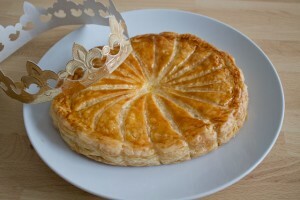 I recently wrote that the galette des rois is the traditional cake for the Epiphany in France and is eaten throughout January (read my previous article to find out what a galette is, and what’s the tradition behind it). 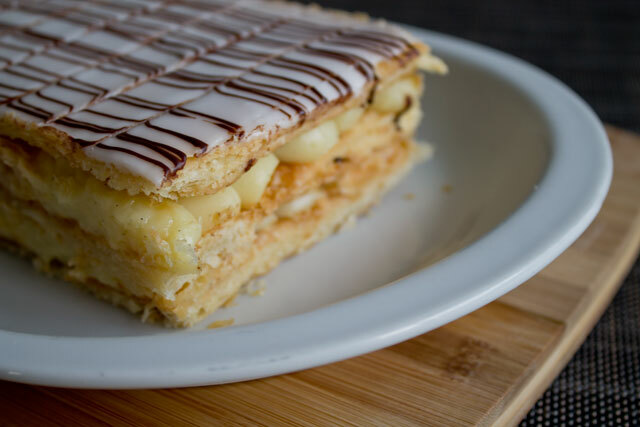 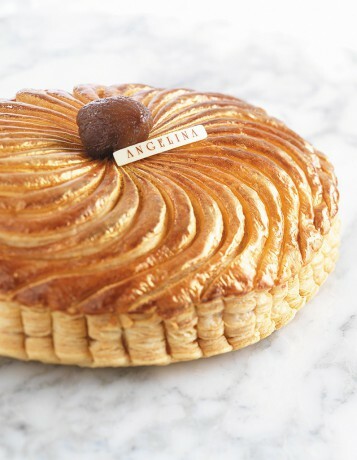 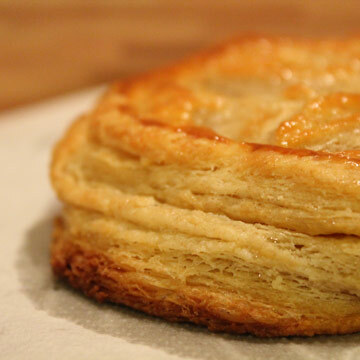 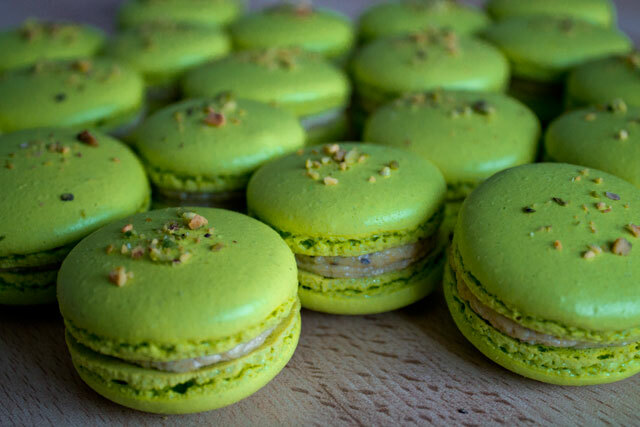 It is made of a crunchy puff pastry exterior with a creamy filling (usually the predominant flavour is almond) and whoever finds the small “fève” (a small sculpture hidden inside the cake) becomes “king/queen for a day”. 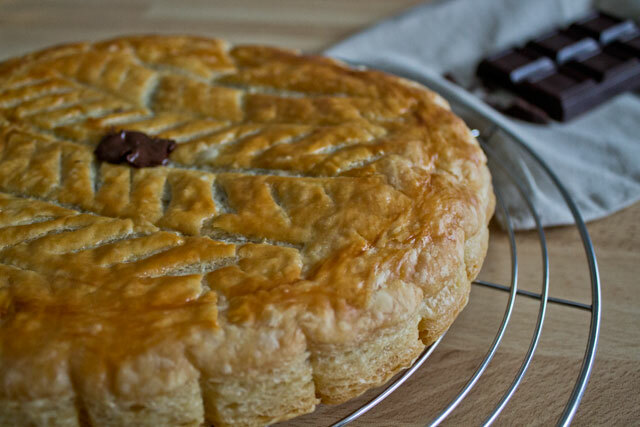 Last year I mademy first attempt at making a galette des rois, and although the result was tasty, the appearance was, well… have a look here. 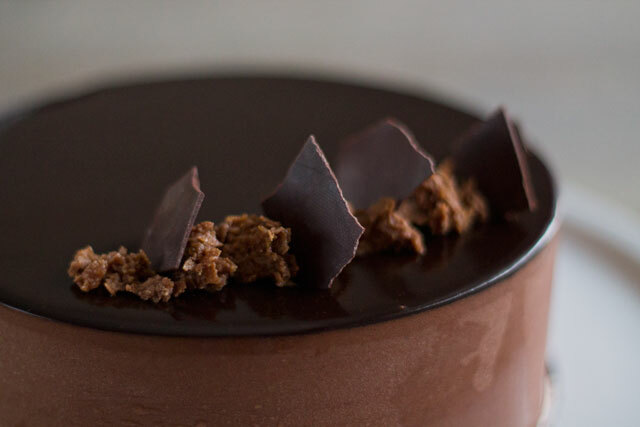 So this year it was a great satisfaction to come out with something much nicer!!! 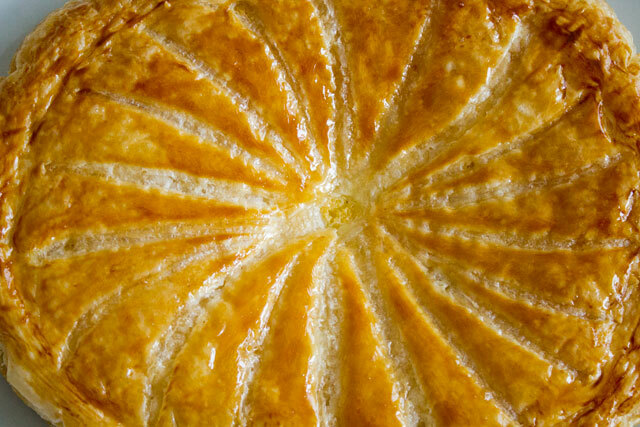 As first step-by-step recipe of galette des rois on the blog, I chose to go traditional and I opted for a filling of frangipane cream, a delicate mix of almond cream and pastry cream. 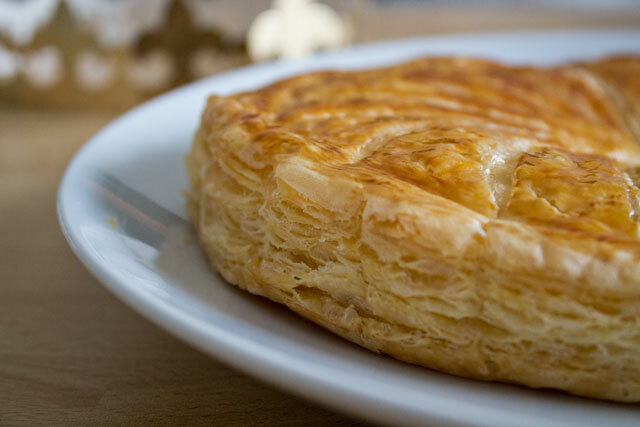 Of course I also made the puff pastry myself, but you can buy a ready-made one at the supermarket (just be aware that it will never be as good as mine!) 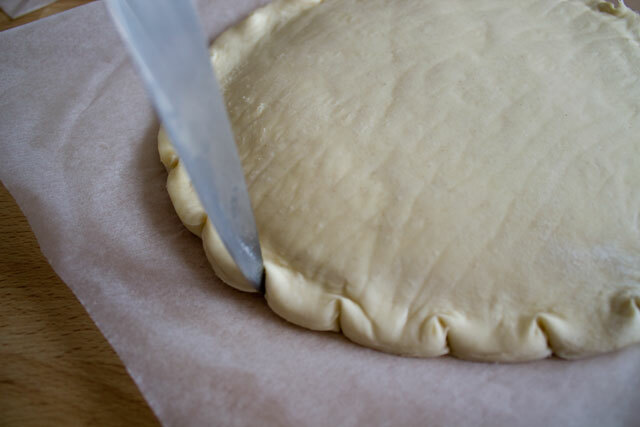 🙂 and in that case making a galette becomes a super easy and quick job! 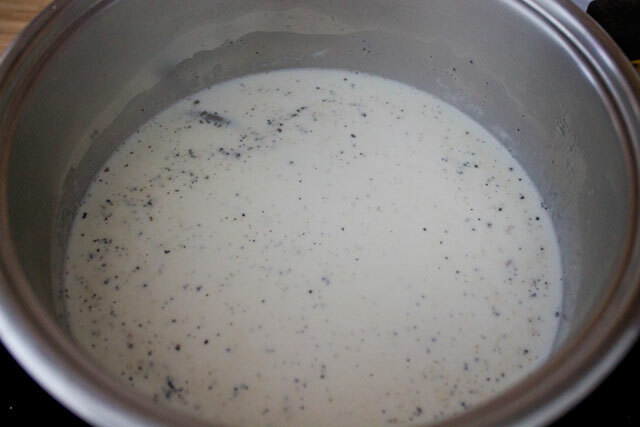 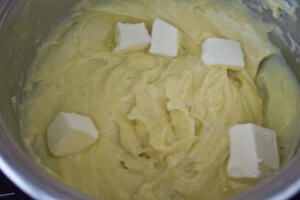 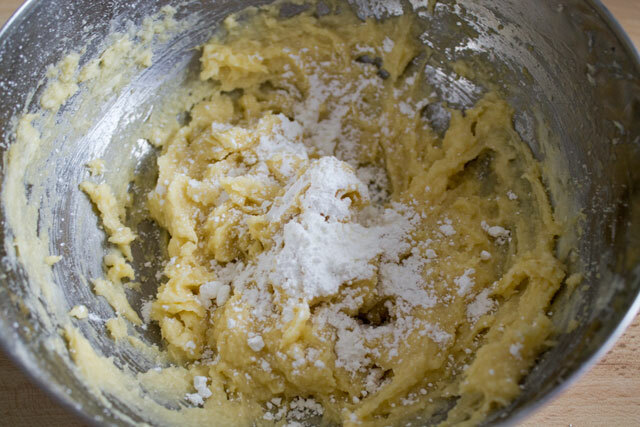 Pour the cream in a large pan so to have only a thin layer of cream. 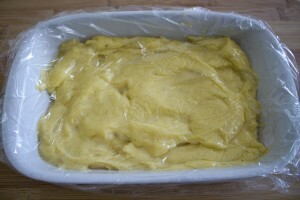 Cover with plastic wrap and refrigerate. 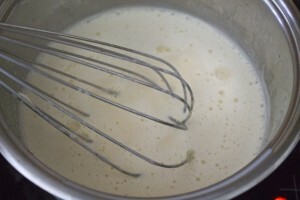 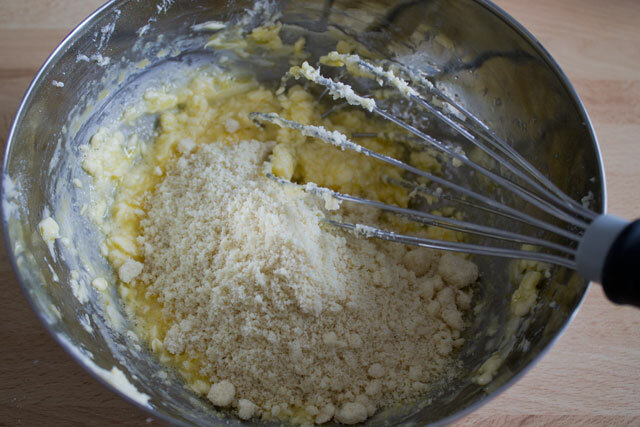 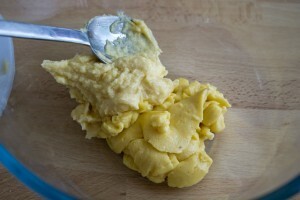 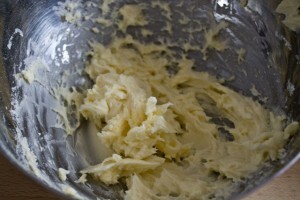 Mix the pastry cream with half of the almond cream (or all of it, according to your taste) to obtain a frangipane cream. 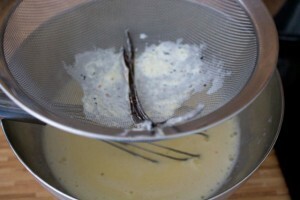 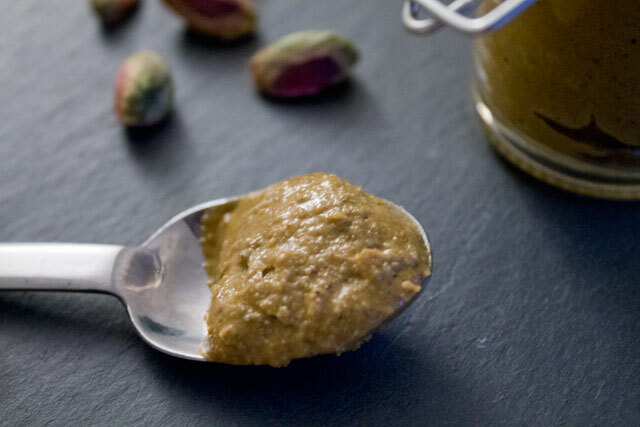 You can use the rest of the almond cream for other preparations. 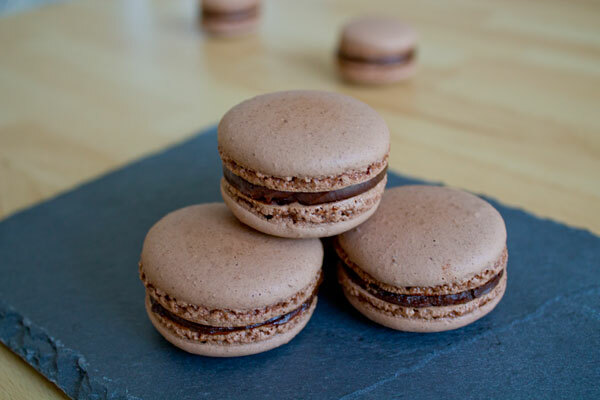 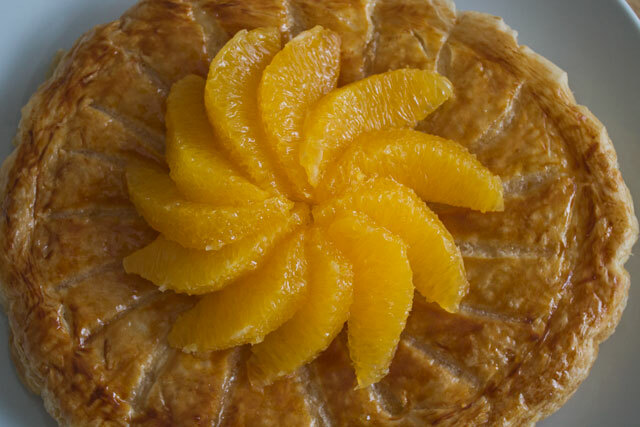 Don't forget to put your "fève", a small object that is not to be eaten (and is NOT made of plastic!). Put it on the side, otherwise there will be no surprise when cutting the galette. 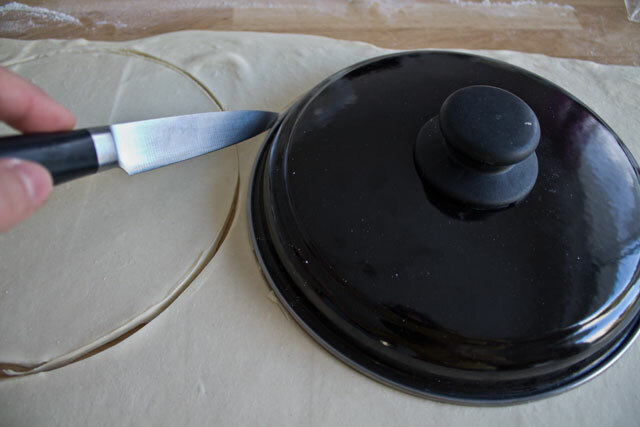 Brush the edge with water. 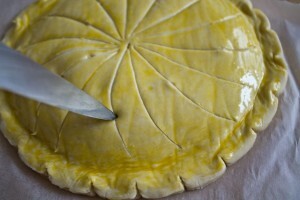 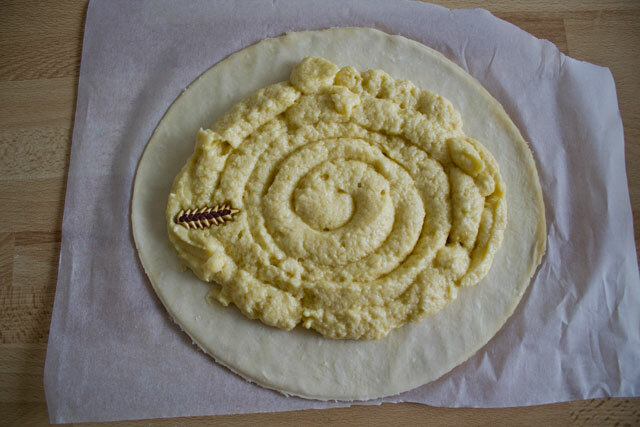 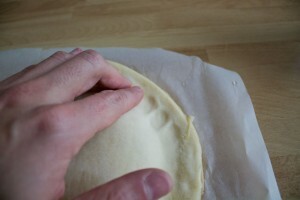 Decorate the side of the galette by making an inward mark with the back of a knife blade every 2cm. 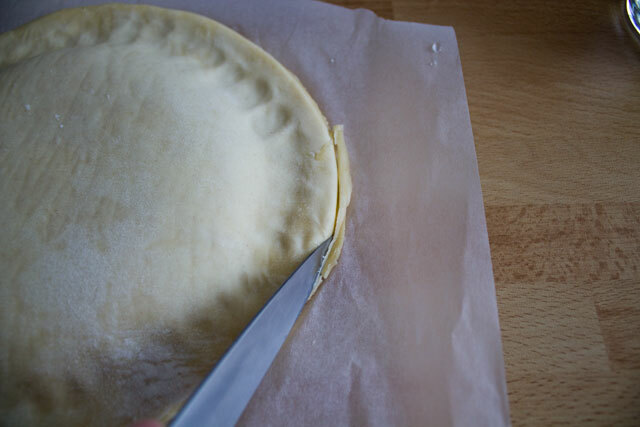 Make a decoration on the top with the tip of a pointed knife (I drew some curves from the centre, but the classical pattern is just made of perpendicular lines to obtain squares). 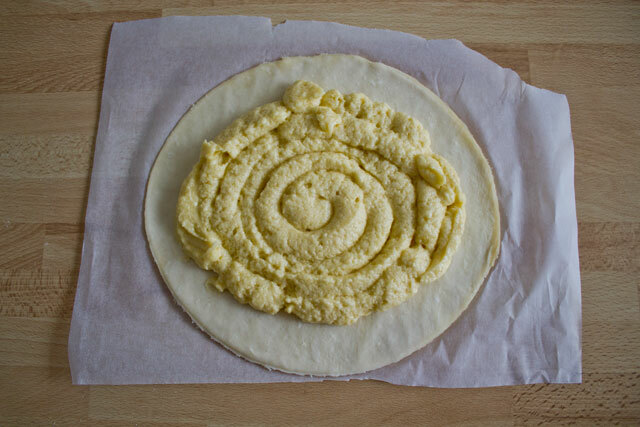 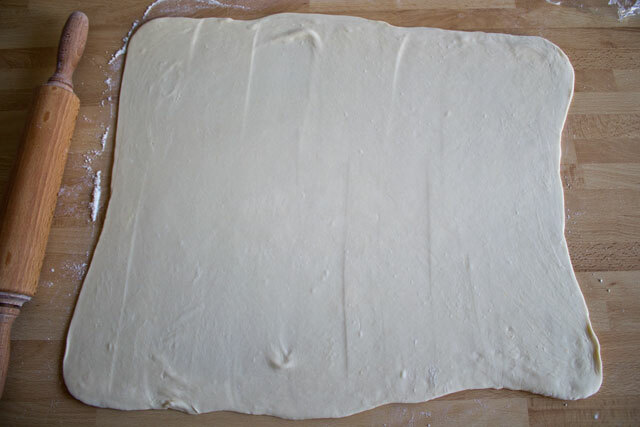 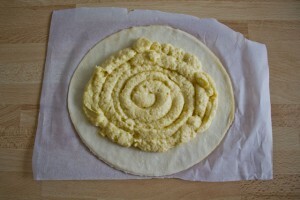 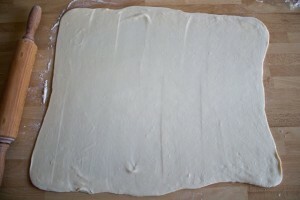 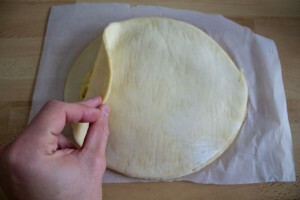 Make sure not to cut the puff pastry completely otherwise the dough will crack while baking. 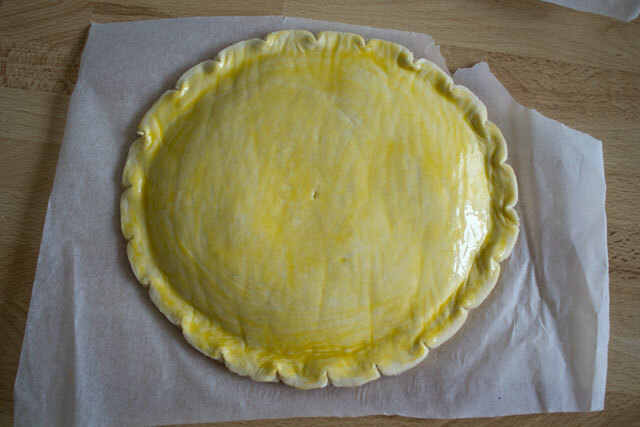 Also make 5-6 small holes in the decoration lines to make sure the air can escape and provide a proper rise. Store in the fridge for 30 minutes. 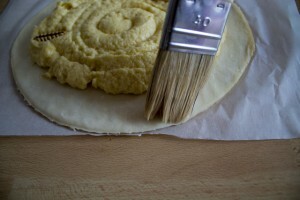 Mark the decoration lines a second time with the tip of the knife. 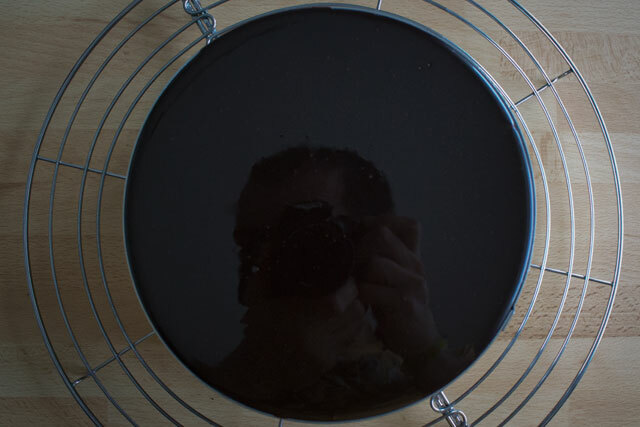 Finally bake at 200°C for around 10 minutes then let the oven reach 180° C and bake for 25-30 more minutes, until the galette becomes a golden brown. 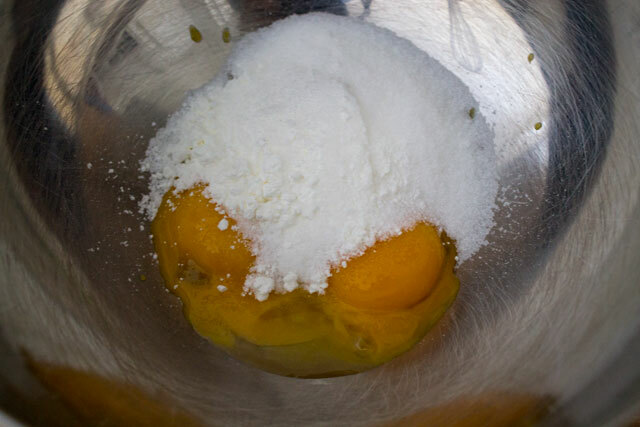 The egg wash should be used before making the decoration to ensure the lines are visible and of a different colour in the baked product. 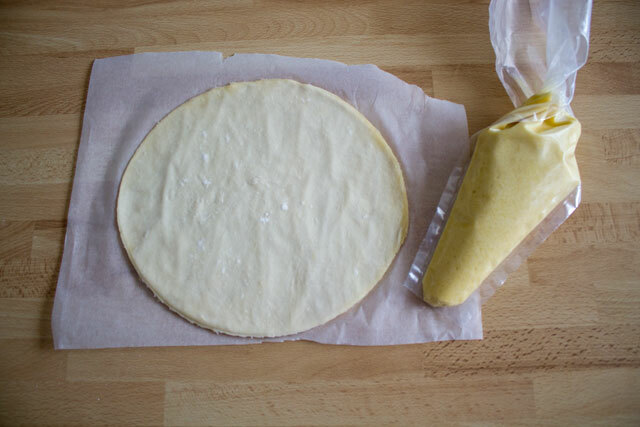 Remember that the scraps of puff pastry cannot be mixed together and rolled out for a high-rising product such as the galette. 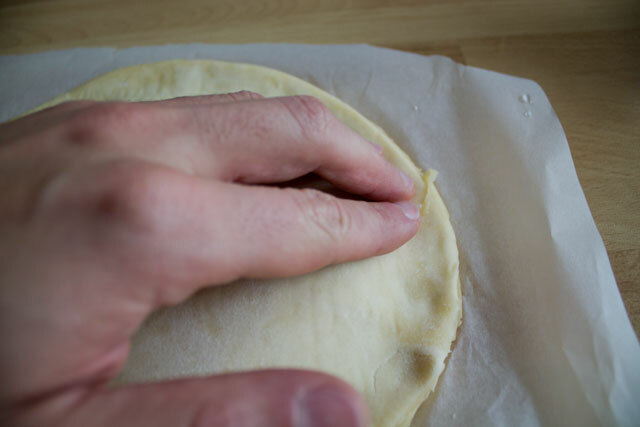 Nevertheless you can put them one on top of the other (to keep the layers intact) and roll them out to make fruit tarts or a napoleon.